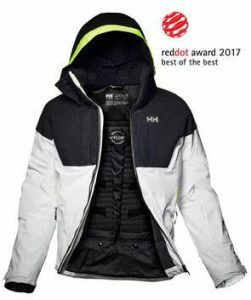 Global technical ski brand, Helly Hansen, is proud to announce its Icon Jacket has won the Red Dot: Best of the Best Award for Product Design 2017. This year’s competition was fierce with more than 5,500 submissions from 54 countries. All of the entries were individually assessed and evaluated by an independent and international jury of experts. 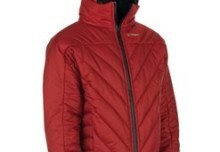 Helly Hansen’s technical Icon Jacket came out on top and was awarded the highest Red Dot classification. 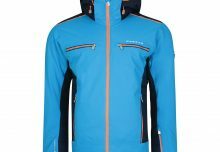 Part of Helly Hansen’s most successful line ever, the Winter 2017 Icon Jacket stood out from the crowd for its leading design quality, performance technologies and consumer driven features. This insulated jacket features the highly innovative, and a new iteration of, the H2Flow™ temperature regulation system. 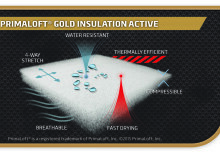 Depending on the conditions, the closed system channels and directs cold air along the user’s core, and is released through air ports on the inside of the jacket – just like an effective air conditioned sports car. The jacket’s system is 20 per cent more efficient in cooling athletes down, compared to a regular jacket. Another consumer-focused feature is Helly Hansen’s new, first-to-market innovation: the Helly Hansen Life Pocket™. In today’s environment, mobile data consumption is an issue in cold temperatures due to loss of battery life span, so Helly Hansen has developed the new proprietary technology designed to preserve mobile battery life span for longer. The Life Pocket is three times warmer than a regular chest outer pocket, due to construction and PrimaLoft© Aerogel insulation. An additional safety feature for the Icon jacket is a foldaway hi vis brim, added for extra safety, and to minimise and avoid collisions when the slopes are crowded. The Icon Jacket (SRP £700) is part of Helly Hansen’s Winter 2017 collection and will be available to purchase from Autumn 2017.